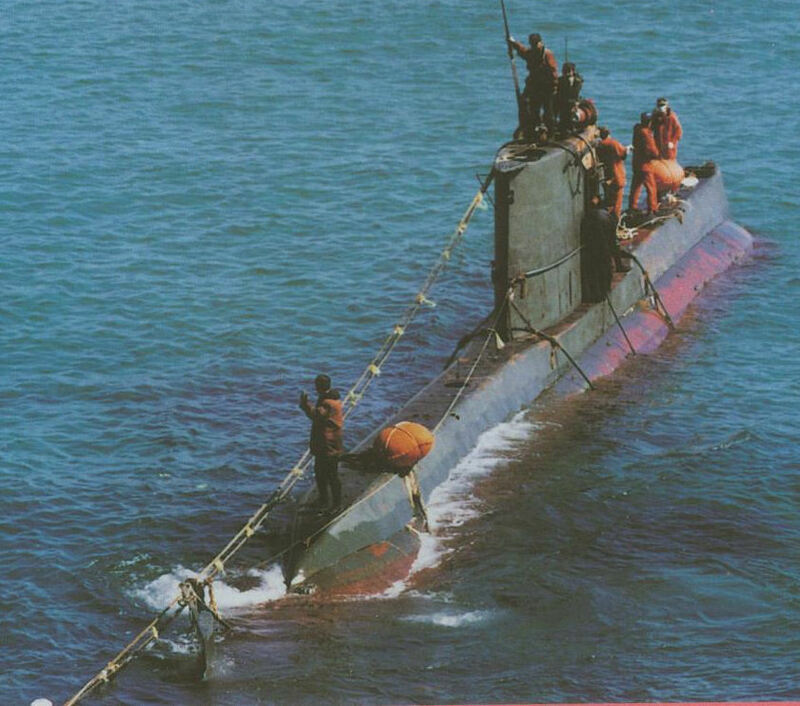 While the North Korean submarine force reflects dated technology by Western standards, North Korean submarines during wartime would present significant challenges, particularly in coastal areas. 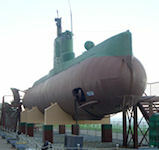 North Korea has placed high priority on submarine construction programs which are ongoing despite its economic hardships. 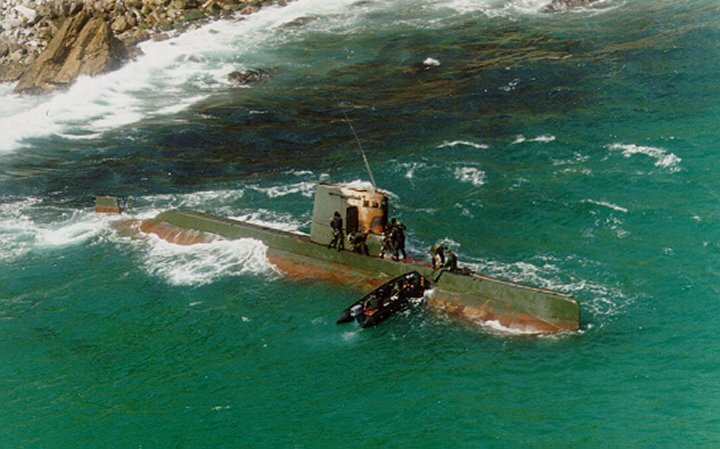 An example of this is the SANGO SSC, a simple submarine constructed in two variants, for use in the covert insertion of Special Operations Forces (SOF), mining or antisurface warfare. The submarine comes in two different variants, one with torpedoe tubes and the second without but with the capability to lay mines. 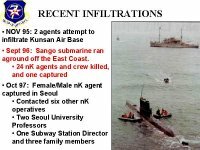 The Sang-O (Shark) class submarines are used for special forces infiltration into South Korea and have at times been captured by ROK forces. 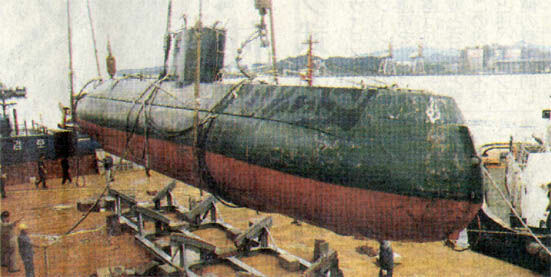 According to Janes Fighting Ships 2002-3 Sang-o class submarines began to be constructed in 1991 at Sinpo and were be constructing at 4-6 a year by 1996. Reports indicate that only three were built in 1997 and it is unclear what was produced in the following years. Bitter enemies since the outbreak of war in 1950, the two Koreas remain divided by the most heavily guarded border in the world - one the North regularly attempts to penetrate. 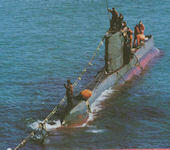 The 18 September 1996 grounding of a North Korean submarine filled with 25 heavily armed commandos - stunned the South as communist soldiers waded ashore 90 miles northeast of Seoul. Deadly skirmishes followed for two months as the commandos attempted to flee north, with most of the team being killed along with several South Korean soldiers and innocent civilians. The North Korean submarine got stranded on some underwater rocks, forcing the crew to get out and try to return to North Korea. This prompted a deadly manhunt that lasted over a month (25 of the 26 crew members were shot dead and the South Korean casualties, civil and military, tallied 17). Unification Park is composed of unification security pavilion. It was opened in September 26, 2001. To display the tanks and field artillery additionally in the outdoor exhibition area in the future, revitalization of local economy can be achieved in connection with the Jeongdongjin Sunrise Resort displaying the artillery of the armed forces fro the first time in the nation. 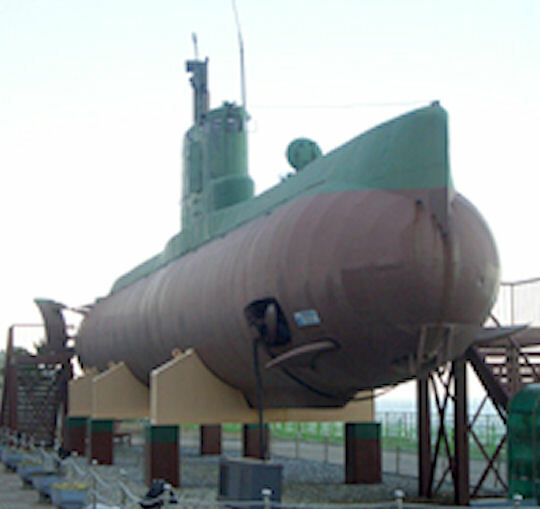 In addition to the pavilion of North Korean submarine moved and displayed in the site in May 1998, the retired warship, Jeonbukham, was lent for free to Gangneung in order to be reused as an education arena of national security culture from the navy.